Curious about real estate investing? If you’re thinking about getting started, but don’t know how or where we can help. Our goal is to help investors like you build your own real estate investing business. Maybe you’ve never done real estate investing before, and that’s okay. We realize this process can be a bit tricky and somewhat scary when you don’t have information. So, whether you’ve been researching online or you’re simply curious about what it takes, this post provides quick, actionable steps for starting your real estate investing journey and building wealth. Let’s explore what market trends mean to you as an investor. You need to be an expert on your local market. If you don’t know the ins-and-outs of your local marketplace, you should at least know where to find the answer. This would include a basic understanding of the factors, forces, and principles that shape the area economy. It’s critical that you can obtain marketplace demand, rarity, utility and transferability data, and understand how to use that knowledge to benefit your clientele. On the surface, the process seems simple enough. Find a property, pay for it, fix it and sell it. However, digging a bit deeper will reveal that locating investment properties can be time intensive, particularly depending on your level of knowledge and experience. The biggest determinant of your success and failure will be how much you know about the business. A good investor will use resources such as a broker, real estate board, a multiple listing service (MLS), or a professional real estate organization to help track down information on competitors, listings, recent sales, demographics and other factors that directly impact your area of interest. Many people oversimplify real estate investing, narrowing it down to just the purchase and sale of a property. However, investing may include multiple elements, such as the purchase, ownership, management, rental and/or sale of real estate for profit. Making improvement to property is a sub-specialty of real estate investing, also known as real estate development. A real estate entrepreneur or a real estate investor is someone who actively or passively invests in real estate. The aim is to buy a property, make repairs and/or enhancements to the property, and then either sell it or lease it out to gain a return. Careful evaluations of the real estate market will guide an investor in strategically identifying and purchasing property with the goal of building wealth. Real estate investors may invest in residential, commercial, or industrial property, based on their specific investment objectives. Investing in residential property is what most people think about when they first consider getting involved in real estate investing. This category of property includes single-family homes, multi-family homes, townhouses, and condominiums that people use as a living space and not a working space. What Is Commercial Real Estate Investing? If you’re thinking about business offices, restaurants, farmland, or large apartment buildings, these properties fall under commercial real estate. They are used for the purpose of businesses and include retail, office buildings, multi-family units, even land. What Is Industrial Real Estate Investing? This area is commonly overlooked, but should also be considered as an option in your investment portfolio. Industrial real estate is identified as properties that serve an industrial business purpose such as shipping or storage warehouses, factories, and power plants. Typically, investors will look at properties in the foreclosure process. In many cases, when a homeowner has not paid their mortgage for more than ninety days the bank that owns the mortgage on that property can begin the foreclosure process. This method is used by the lender to try to force the sale of the property to recover their losses. This is one way to identify potential properties that may later be available for purchase on the courthouse steps. You should know that property investment is a big business. If done correctly, real estate investing can quickly become a highly lucrative and reliable way to generate substantial returns. We’ll briefly mention important factors of which any budding real estate investor must be aware. Real estate investments provide multiple opportunities to create income. The primary ways are to gain interest from loans, appreciation of equity in the home, and leasing the purchased property. What Should Be My First Steps in Real Estate Investing? Figuring out your starting point can be your biggest dilemma. If you really think about it, this shouldn’t be such a challenge, because it’s more of a thought or feeling than an action. Your first step is really deciding to do it. After that, it requires your specific and focused action. There’s definitely research involved because you must have a clear idea about how much money you can access. Visiting a bank to apply for a line of credit can help. You’ll also need to establish and understand your goal. Remember, this should be specific and usually requires sacrifice. So prepare to give up a little or maybe a lot, depending on your circumstances. Your last preparation step is to create a plan of action. This could include up to five years down the line. You won’t last long in the real estate investing business without a hefty cash reserve. This can be in the form on a line of credit from your bank, contributions from other investors, or the result of spending less and saving more. If you have little, to begin with, your best bet may be to spend more time in the preparation and saving phase. 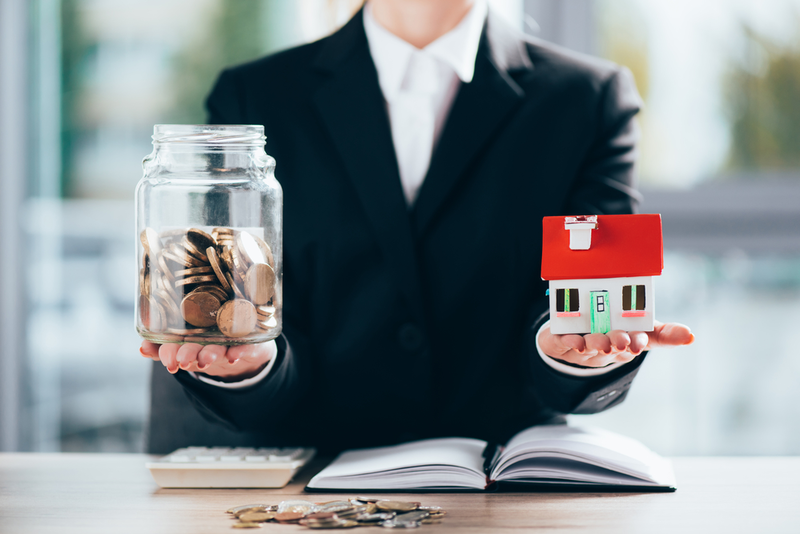 The long and short of it is that whether you invest hands-on, through rental real estate or fix-and-flip, you’ll need money and good credit to get started. There are so many ways to do it; it’s just a matter of choosing the one in which you feel most comfortable.